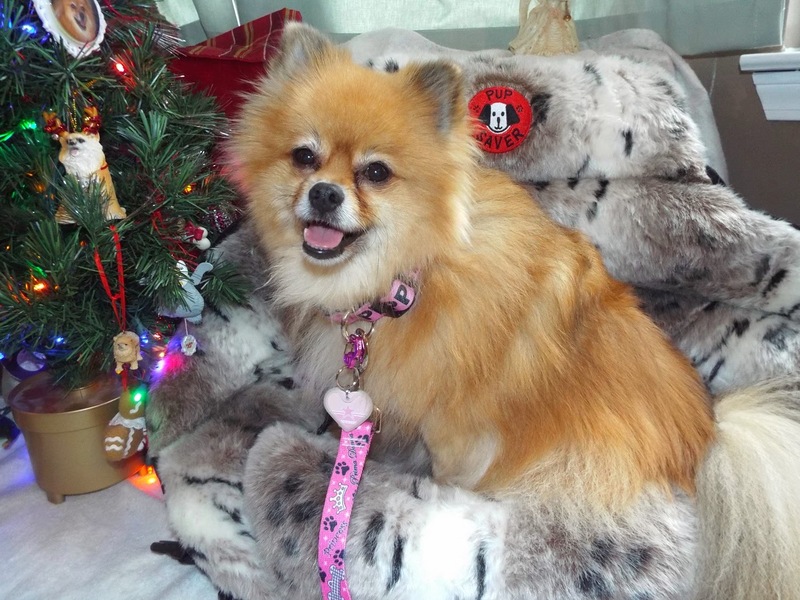 I found 11 new pawsome holiday pet gifts! 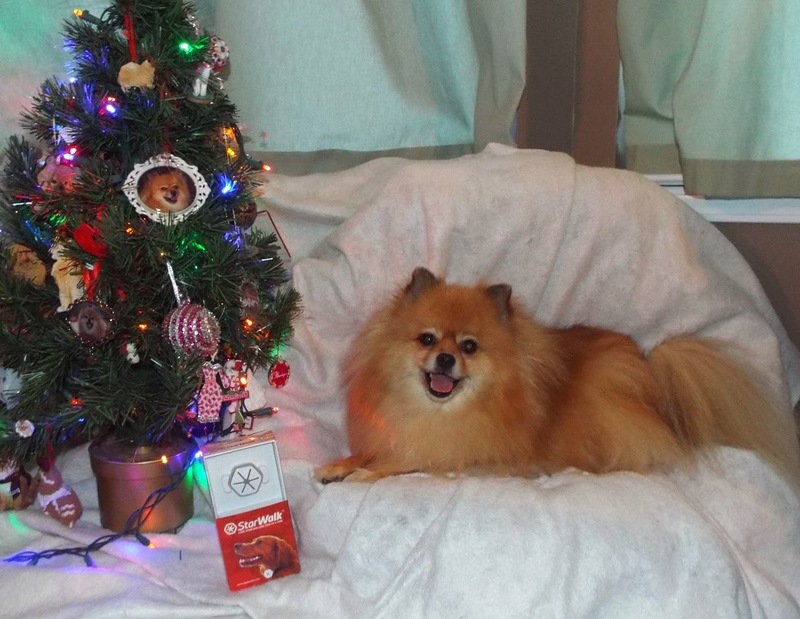 I sniffed around and dug up some furrific gifts for the pets and pet lovers on your holiday shopping list. Some of the gifts will probably be appreciated most by the humans on your list, others will delight the dogs on your list. Mom and I love all of these gifts. 1. Humans love to get things with their pet's picture on them. Mom adores my Custom Body Pillow. Custom Body Pillows are easy to order. You upload a photo, pick a size (3 sizes available), and choose the fabric for the back. I chose a furry pink back for my Custom Body Pillow. Your picture is printed on a beautiful satin fabric. It really looks like the original photo. It is just as sharp, colorful, and detailed as the picture I uploaded. It looks just like me! The cover is washable, just unzip and remove the pillow insert. 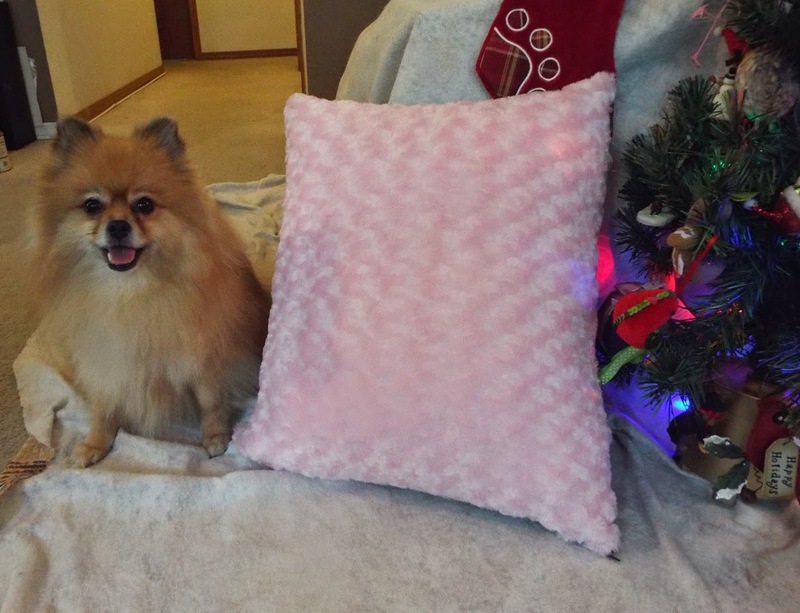 This huggable pillow is also a great gift for people with human kids, or as a memorial for someone whose beloved pet has gone over the rainbow bridge. The days are shorter and the nights are longer in winter. Even though it's dark, we pups still want to play fetch. The new Chuckit! LIGHTPLAY toys are pawfect for playing fetch in the dark. Each LIGHTPLAY toy glows in the dark for up to 30 minutes per charge. The Max Glow rubber used to make LIGHTPLAY toys charges in 5-10 minutes under bright light. The bright glow is easy to see, so we can play fetch as late as we can bark our humans into throwing the toys. BOL! Of course you can play with LIGHTPLAY toys in the daytime too, you just won't get to see the glow. For the water loving pups, the Max Glow Kick Fetch and Max Glow Zipflight toys float in water. Pawsonally I prefer to stay nice & dry, and chase my toys on dry land. BOL! The Max Glow Ball is available in 3 sizes, and fits Chuckit! launchers matching the size of the ball. I received a medium Max Glow Ball, so it would fit a medium launcher. I surprised Mom by being able to pick up the medium Max Glow Ball. Usually I need small size balls to play fetch with, but the Max Glow Ball is hollow inside & flexible enough for me to be able to grab it. The size small Max Glow Zipflight is the first disc toy I like to fetch. It has a hole in the middle like a donut, so I can pick it up easily. I have the Max Glow Kick Fetch in a size small, but my mouth still isn't quite large enough to pick it up. I think if my snout were a little longer that I would be able to pick it up. Chuckit! makes LIGHTPLAY toys in 3 sizes. Whether you are a big dog, or a small dog like me, there is a LIGHTPLAY toy that is the right size for you. 3. The IQPet Starwalk Activity Tracker is the pawfect gift for that person on your list who makes the same resolution every New Year's - to exercise & walk the dog more. BOL! The techies on your list will also love the Starwalk! The Starwalk tracks your activity on your human's smartphone. Your human can see how many steps you've walked using the Starwalk smartphone app. The app is compatible with android 4.3 & higher, and iOS 7.0 & higher. The Starwalk communicates to your human's smartphone using bluetooth technology. The Starwalk app even lets you compare your activity to other dogs' activity. When I looked at my activity I saw that I don't walk as much as other dogs in general, but I do walk about the same amount as other dogs my size and age. I think one of my favorite things about the Starwalk is that I can choose what color the light blinks. I programmed mine to flash pink. Do you think I blend in with the flashing lights on the Christmas tree? Starwalk also has a useful nighttime walk mode that sets the light to repeatedly flash during your walk so humans can see you. The Starwalk plugs into a USB port to recharge, so you don't need to worry about changing batteries, or including batteries when you give it as a gift. 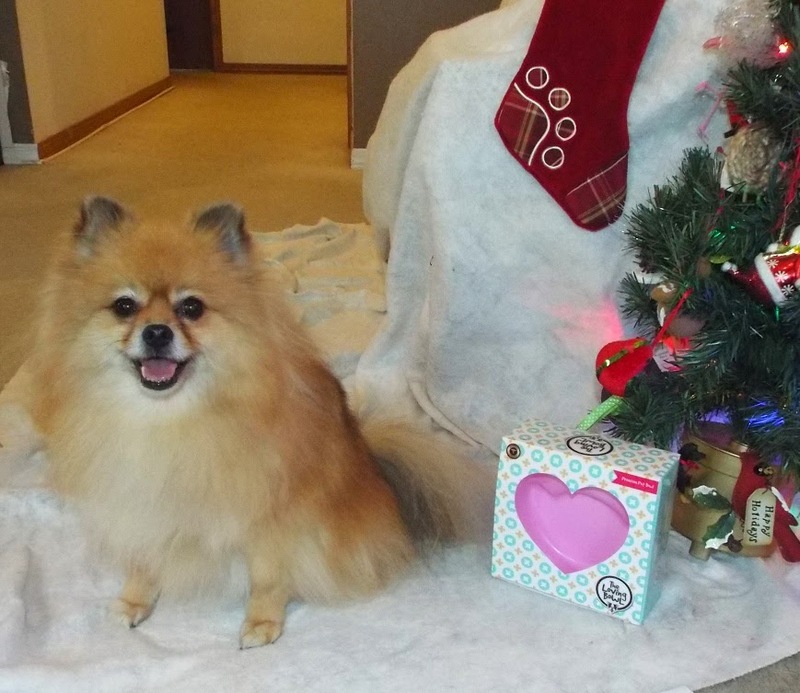 Do the holiday activities make your pup anxious? If so, your pup could find some relief by wearing a Calming Coat. The Calming Coat is easy to put on, and is designed to apply pressure to mimic the calming comfort of infant swaddling. It is pawfect for nervous pups to wear for New Year's Eve fireworks, holiday visitors, storms, travel, and other anxiety producing situations. 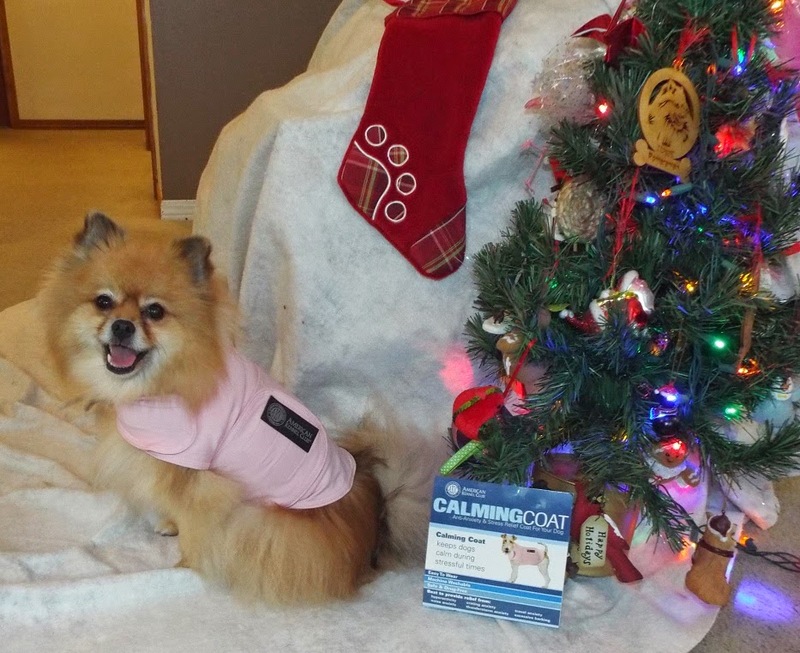 The Calming Coat is available in 4 sizes - xsmall (13-18 inch chest), small (16-23 inch chest), medium (18-26 inch chest), & large (24-32 inch chest). I found 3 colors available at Amazon.com - grey, pink, & royal blue. I have a size small one in pink! Do you always seem to lose your tag? Does the jingle noise drive your human nuts? The custom collar from Hot Dog Collars will solve those issues. 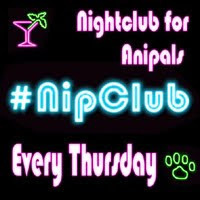 You can order the collar in the colors you want, and have your name & phone number printed on it. I was even able to get cute little pawprints on my custom collar. If you don't lose your tag all the time, you can get a NFL tag (with silencer) to show your team spirit. Well, it's most likely to show your human parent's favorite team. I was able to find a cute pink heart shaped NFL Dallas Cowboys tag. They have the standard team logo tags of course, but I like that they also have a pink option of a few teams for us girls. Of course I use a rhinestone Rubit clip to attach the tag to my collar. Like many fashionable pups, I have more than one collar. I can easily change my tag from collar to collar using my Rubit clip. Naturally I asked for the pink Rubit with rhinestones! OMD! Hot Dog Collars has a Diva leash! It is pink, with crowns, pawprints, bones, bows, "princess", and "diva" printed all over it. This leash is so me! Humans will appreciate the sturdy rubber comfort grip. The grip prevents the leash from digging into your human's skin when you pull to chase after a squirrel. BOL! Hot Dog Collars has collars, leashes, and tags for every occasion. 6. PupSaver is now available in the new Faux Lynx Fur with ballistic nylon back. Is there a special small dog to gift shop for on your holiday list? 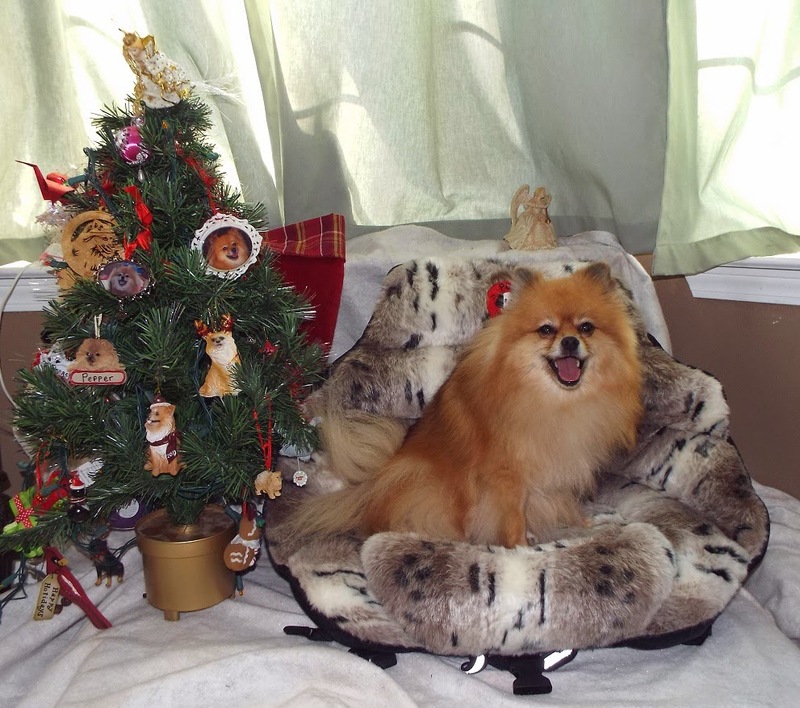 A crash tested PupSaver safety seat is sure make both the dog and its human parents feel secure during their holiday travels. 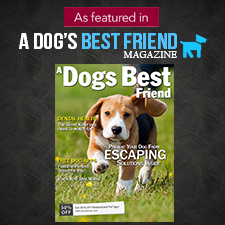 For more information on PupSaver's safety features, please see my previous review. 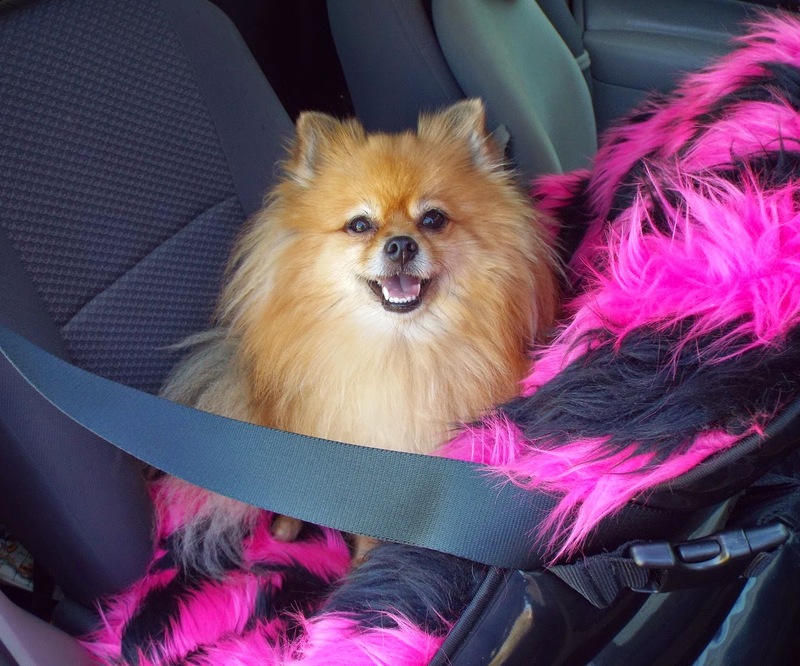 The new Faux Lynx Fur PupSaver is a beautifully luxurious way for small dogs to travel safely. 7. The Foobler is the pawfect toy to entertain a pup when their human is too busy to play. Mom was so happy we had a Foobler to entertain me when she had that nasty cold virus a few weeks ago. When I kept barking to play, Mom would put a few treats in each of the 6 compartments, turn on the Foobler, and let me play. I was tired enough to nap with Mom once I had emptied all 6 compartments. BOL! The Foobler is a great way to slow down a fast eater. It has 6 compartments your human can fill with kibble for a total of up to 2 cups. Mom puts treats in my Foobler because I eat raw food instead of kibble. Despite my wishes, Mom refuses to put 2 cups of treats in mine. BOL! The Foobler works on a timer that has 4 different interval settings. After each timed interval, the Foobler bell rings and the opening rotates to the next compartment of treats. When that compartment is empty, you have to wait for the next bell to be able to get more treats. Of course I bark at it when it runs out of treats, but Mom just tells me I have to wait for the next bell. Mom and I agree, the Foobler is pawsome entertainment for a bored pup that is stuck in the house. 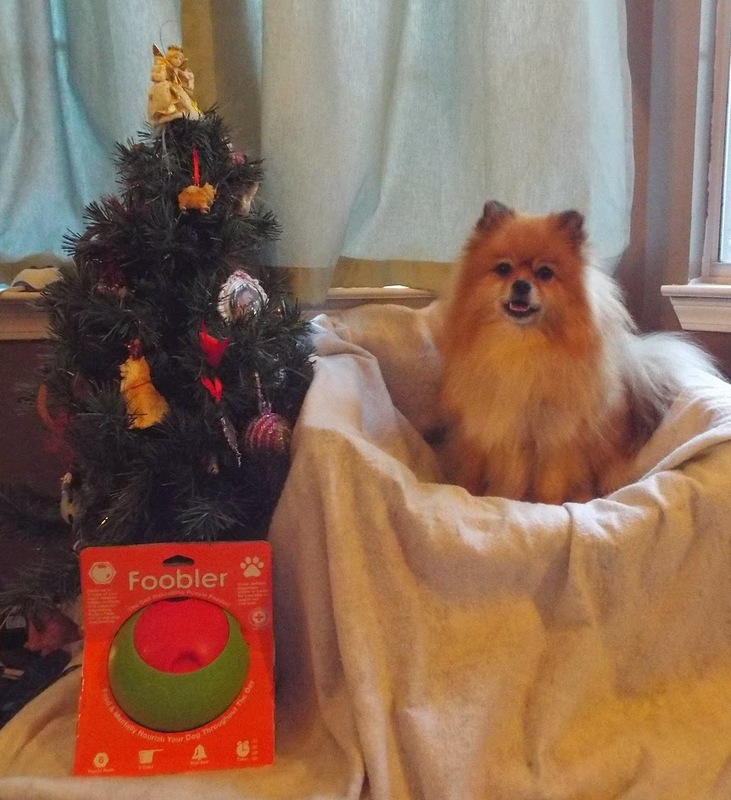 I was stuck inside because Mom was sick, but some dogs are stuck inside because their humans are at work, they are snowed in, it's raining, etc... a Foobler would be a very much appreciated gift for these dogs and their humans. In cold weather, humans like to drink hot chocolate. Dogs can't have hot chocolate, but we can drink warm broth. 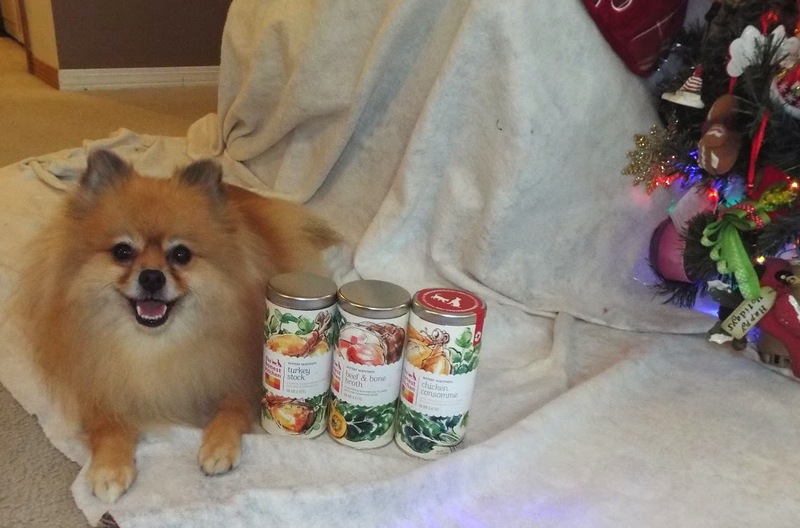 The Honest Kitchen has a furrific gift set of broth mixes this winter. Winter Warmer broths are easy to make, just stir into hot water. They have Chicken Consomme', Turkey Stock, and Beef & Bone Broth. I like all 3 flavors! You can pour them over food, or serve them as a warm tasty drink. 9. The Loving Bowl is a great gift for our flat-faced pals. Brachycephalic (flat-faced) breeds of dogs and cats eat differently from other breeds. They tend to use the sides of the bowl to help them grab the food. The Loving Bowl makes it easier for this type of dog or cat to pick up their food. It has a sloped side to help push the food into an easier position to grab. It also has a larger eating area to accommodate the larger head a flat nose breed has compared to a long nose breed. The Loving Bowl has a rounded edge in front to help dogs with short, thick necks reach into the bowl. There are rubber hearts on the bottom of the Loving Bowl to prevent sliding. Flat faced breeds tend to be gassy because they swallow so much air. I wonder if a Loving Bowl would let them swallow less air. If it does, I think many families would appreciate a holiday meal with fewer dog farts. BOL! My cousins certainly produce a lot more gas than I do. Maybe I should let cousins Bailey & Amanda use my Loving Bowl. Quaker Pet Group named them New York Dog Ugly Holiday Sweaters, but Mom & I think this Red Wreath sweater is pretty. It even has real jingle bells on it! The New York Dog Ugly Holiday Sweaters are available in several styles & sizes: Xsmall (9-11 inch length), Small (12-13 inch length), Medium (14-15 inch length), Large (16-18 inch length), & Xlarge (18-20 inch length). I am wearing a size large (I am 16 inches long). Looking for a festive & tough holiday stuffed dog toy? 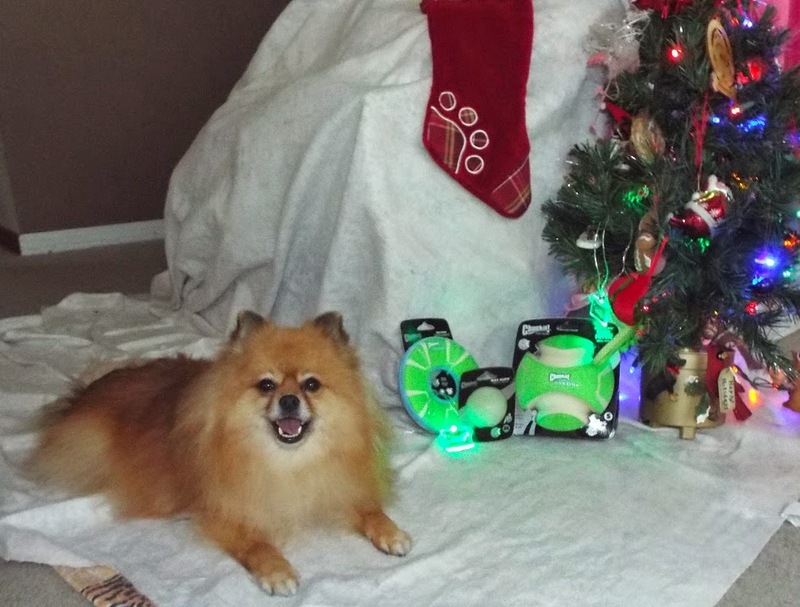 Go Dog has several fun holiday themed toys with Chew Guard technology. Each Go Dog toy with Chew Guard technology is double stitched and features a special tough durable liner inside. I am having a blast fetching & squeaking my Holiday Trex (with grunter) & Holiday Gingerbread Man (with squeaker & Mylar crinkle). I really love the bubble plush material of the Trex! 11. A Sure Fit Soft Suede Sofa Pet Throw is pawfect to protect your sofa, or your human's relative's sofa when you visit them. Let's face it, some humans have really nice furniture, and they don't want us to mess it up. 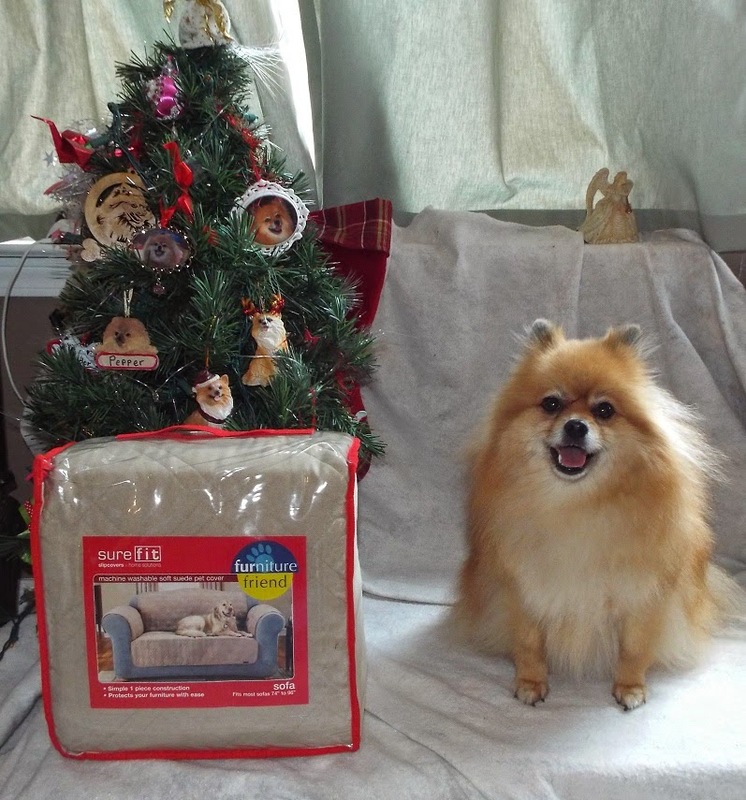 A Sure Fit Sofa Pet Throw will protect that special sofa from dirt, fur, and claw marks. It is attractive so it won't ruin the human's decorating. I know we will use it when cousins Bailey and Amanda visit because they like to get on top of the sofa back, and dig in with their claws to stay up there. Mom says we need it to protect the sofa from my scratching when I try to "dig" a comfy napping area on the sofa. 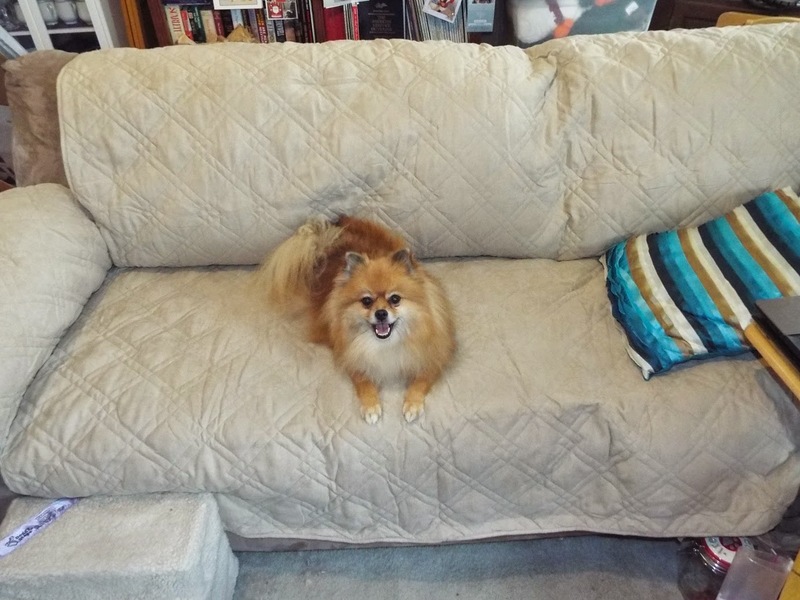 Unlike a specially fitted cover, the Sure Fit Sofa Pet Throw drapes over the sofa, which allows it to fit most sofas. The universal fit is why you can use it at your house, and at a relative's house when you visit them for the holidays. 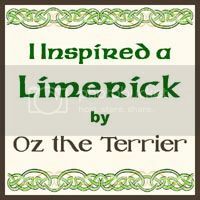 To see other furrific pet gifts, pawlease visit Oz the Terrier's Holiday Gift Guide post & Sugar the Golden Retriever's Black Friday Giveaway post. Pepper's Holiday Gift Guide Giveaway Prizes! Please login to the Rafflecopter for entry options. Giveaway Disclosure: I did not receive any compensation for this giveaway. The companies will ship the prizes directly to the winners of the giveaway. I am not responsible for lost/missing prizes. The opinions in this giveaway are my own and not influenced by any outsider. I only ship to USA addresses and you must be 18 to enter. Wow, Pepper!! There's so many great products in your Gift Guide! My Guide will post tomorrow...I have to BOL because we both posted about the goDog toys...they are super fun! 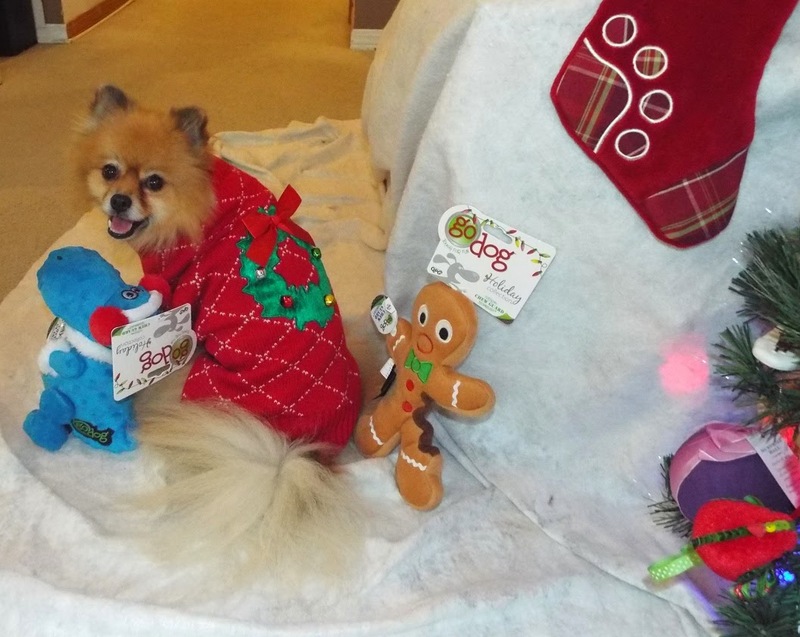 Woofs Pepper to your Holiday Gift Guide :-) You got some cute outfits and FUN toys. Love the StarWalk and been using it. Will post our Gift Guides this week. It's a long list so have to divided it according to categories. Woofs to you and Have a Happy Holiday! Any of the prizes are fine. You look ready for the season! 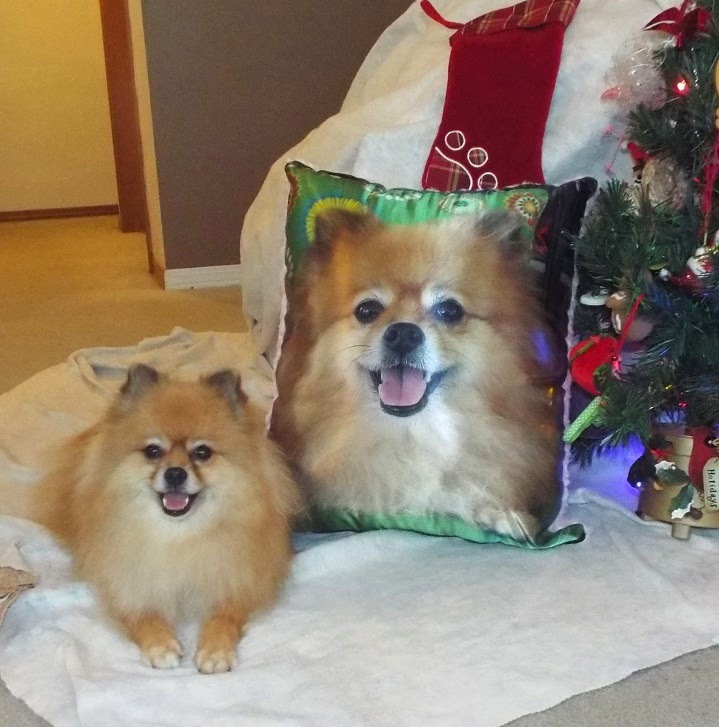 I love the pillow with your face on it!!! Tulip would love the gingerbread man, it reminds her of the elf which she loves! We'd love the Light Play Toys, Activity Tracker, and Foobler! I'd like any and all of the prizes in the giveaway. I have five dogs and three cats, so you know we can always use more pet items! I love the Fobbler, Chuckit toys and the go dog package!! What an awesome gift guide!! OMD, you are one sweet pups Pepper!! Those are some FABulous giveaways! And great reviews!! Loved your videos. I especially loves the light up toys!! Artie would love the Lightplay toys. He loves all toys, and is so excited when he gets new ones. I really love your picture with pepper and all the toys..... I have a bunch of doggies here so between them all they would probably be thrilled with any of the prizes that you are giving away in this giveaway. I've seen the HK product and have been interested in trying that as my shelties really love HK food. So I'd be really excited to win and try those but honestly we would be thrilled to win any of the prizes! Thank you for the Chance! I would love to win any of these items, but really would be interested in the calming coat. Thanks! My dog Maddie is about a year old and she is very playful so she would absolutely love to win any of these prizes.. Thank you for the opportunity!! 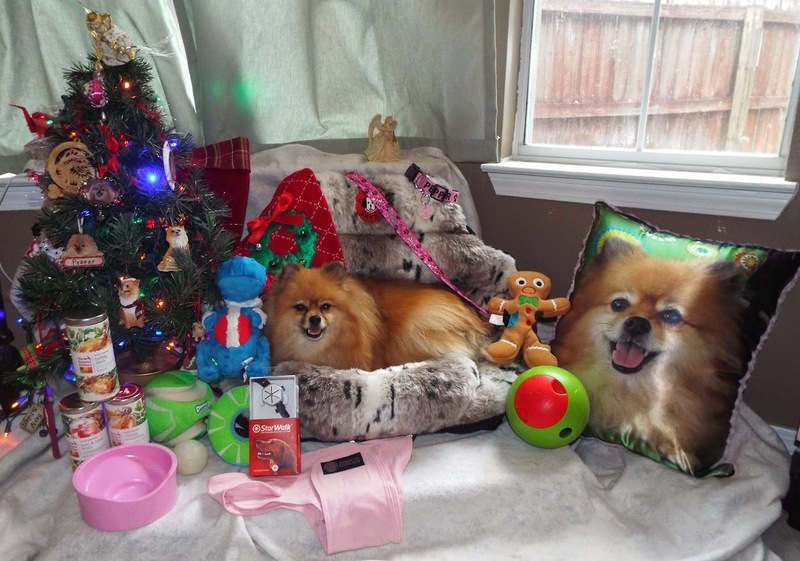 I would love to win any of these items my dog loves toys and is not fussy at all! I would love to try the Honest Kitchen Winter Warmers. there are quite a few I want! the toys and the PupSaver seat!! I like both the Honest Kitchen Winter Warmers, and the LightPlay toys. All of them are great, but I really like the light toys. Id love to win from honest kitchen! I am entering for all of them! They all are great!! Definitely all the prizes! Love the pictures. I would like to have them all. I would like to enter for the Hot Dog Collars and the QPG. Thank you. I am entering to win the Light Chuck It toys. I love them all and would be happy to win any of them. I'd like the lightplay toys! I really Like them all!!! I like them all, but especially the Calming Coat and the Honest Kitchen Products! My two dogs would love to have any of the gifts. My bulldogs love playing outside, even in the evenings so the Lightplay toys would be great.